Created by Jean Kerléo in 1972, 1000 is from the generation of perfumes that followed the dictum of “more is more,” and you have to be prepared for it. You have to like the starchy crinkle of aldehydes, the buttery richness of rose and iris, the heft of creamy woods, and the inky darkness of oakmoss. It skimps on nothing, which makes it both fun and challenging. 1000 has an unpromising opening of strong aldehydes (starched linen crossed with overheated metal) and green, crushed leaf notes, which smells plain old-fashioned. But this phase is immediately taken over by the dark violets and sandalwood, which give 1000 a soft, rich feel. The longer the perfume stays on your skin, the more layers it develops, and at some point, you no longer notice the individual notes. 1000 smells the way Muscat wine tastes–golden, spicy and warm. Parts of 1000 recall the cool elegance of No 5 and Calèche, and you get lulled into thinking that it will just cruise along on the same note. But then the beige trench coat of aldehydes and flowers slides off, and you discover that 1000 wears a flower child outfit of patchouli, Indian incense and sandalwood. I’ve been wearing 1000 on and off for the past 5 years, and this part still comes as a surprise. If you like animalic notes, you’ll also be in for a treat, because 1000 has lashings of animalic musk to round out its drydown. 1000 is too glamorous to wear when impeccably coiffed, lipsticked and manicured. Then it seems a bit too perfect, too conventional. But dab a few drop under the most casual outfit, and you’ll experience the power of scent to make you feel like a starlet on her way down the red carpet. It’s not one of my staple perfumes, but like a pair of satin red shoes in my closet, 1000 is an occasional dose of glamour required by even the low-maintenance types like me. This review is based on my one year old bottle of Eau de Parfum, the formulation available at counters today. If you’ve tried the older versions of 1000 and compared them to the new one, please comment. 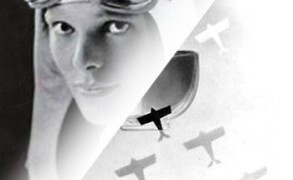 Cornelia Blimber: Thank you for this detailled and evocative review! I wear 1000 often, it is an absolute favourite. Victoria: I believe the extrait still comes in that jade green bottle, which is also used for Joy. At least, I saw it at the store at one point. It’s one of my favorite bottles, and it feels like a little jewel. jtd: My mother’s special occasion perfume was Joy and I loved raiding her bureau to sniff it. No wonder I love 1000 so much. I was trained to. Victoria: You put it on, and everything feels festive and glamorous! 🙂 I’m wearing it right now, as I’m dressed in my “working from home” outfit of yoga paints and a t-shirt, and it’s perfect. Cornelia Blimber: I saw a bottle of 1000 edt in Amsterdam. Thrustworthy perfume shop. Victoria: She then clearly loved aldehydic florals! Johanob: Very accurate and marvelous review of my favorite Sandalwood perfume EVER! !My 1000 is from 1988,and we have not as yet received newer bottles in S-Africa.I’ve got to say that NOTHING beats real Mysore Sandalwood.Creamy,lush and spicy!I wear this mostly during winter(which is now underway),but on sultry African summer nights,it’s unbeatable in the sensuality-stakes! Victoria: It’s such a cozy image! Annette Reynolds: Oh, I cannot WAIT to try it! (And I’m thinking I’ve never tried it up until now because I was never a fan of Joy…) I’m ordering a sample as soon as I stop typing this comment. Joy: I loved this perfume in the 80’s. It was so complex and intense. I never liked Joy due to the heavy tea rose, but 1000 was completely different. Having been disappointed by so many of the new perfumes and recent iterations of older perfumes, I recently tried 1000 on a trip to San Francisco. I could not believe how much the same it was. From just a few drops, it stayed with me all day. Victoria: So happy to read this comment, because you, as someone who has worn 1000 a lot, know it better than I do and are in the best position to compare the versions. The EDP today definitely doesn’t smell “modernized”, and if one wants a dose of vintage allure, it will deliver. Victoria: I love reading about vintage perfumes, but then it’s frustrating, because they are so hard to find. In some cases, the reformulations may smell very different but still be good perfumes, but it seems from the comments that the new version is true to the original. solanace: Yeah, gimme curvy and complicated! Cannot wait to try this one, it sounds like something I might enjoy very much. Ann: Victoria, I agree with you completely on everything you’ve said in this wonderful review! I also never warmed up to Joy, but 1000 is another story completely. Your feeling that it goes better with “everyday” wear is right-on. Always keep a little surprise up your sleeve. Or under it, lol! jtd: Hi, V and Leathermountain. I have an EDT of 1000 that likely dates from the late 80s-early 90s. I’ve compared it to EDT and EDP from the P & G years. 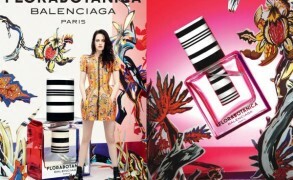 My EDT is a densely layered animalic woody-floral. It feel less voluptuous than it does compressed. I’ve described putting it on as thumbing through a brand stiff, new hard-back book. The animalic qualities are potent but serve to emphasize the tartness of the sandalwood and the dryness of the flowers. The later EDT was a thinner, flatter version, but to its credit was not at all blurred. The EDP I’ve tried (post P & G I believe) is a creamier, cozier, richer take. Very full, a bit less aggressive, not quite as searing. More at ease than the EDT, which stands at attention for 12 hours before loosening the collar a bit. Cornelia Blimber: Do you mean that there is a real chance that the civet is natural? Cornelia Blimber: Thank you for your patience, answering again my question about real civet. You said this already , but ”I doubt it ” made me hesitate, Patou is not that commercial. Victoria: If they don’t tell you the truth, then you won’t know for sure anyway. Only the person with a formula can tell you with exact certainty what’s in the perfume. I only infer based on the standard industry practices. Cornelia Blimber: Thank you, that’s good to know! I thought it was before 1998. Well, I will not threw away my perfumes predating 2000, but I am glad that I am better informed now. Victoria: Please let me know what they respond! Victoria: Wow, what a productive day! I spent yesterday doing so much less–mostly tried to answer hundreds of emails that have accumulated over the past week. But a rhubarb cake sounds like a good idea. Rainboweyes, who comments here, left a few interesting recipe links in the comments, and one of them is a coconut rhubarb cake, which has been on my to-do list for ages. carole macleod: Thank you for this review. I bought this for my birthday, after reading Anjelica Huston’s autobiography. It’s a great book plus there are tons of references to perfume! What an incredible scent. I sprayed a little bit, hoping it would be good. The rich smell of jasmine and rose and…eucalyptus. Wonderful! And it sort of stayed close to the body but swirled around, if that makes sense. All day long I kept catching wonderful bits of scent-and it was me. Fumes like this are the reason I love fumes. OperaFan: Hello Dear V – Late to the discussion, but since it’s 1000 I have to join. You described the exact feeling I have when wearing this scent – Glamourous with a capital “G.” In fact, I rarely wear it because I find it requires far more glamour than I can ever carry off, LoL! 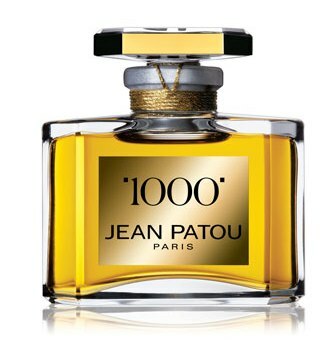 I first read about 1000 in a perfume article from the late ’80s. The article mentioned several celebrities who wore 1000 as their signature scents, among them was Liza Minelli. I remember obtaining a tiny mini of the edt and finding it too “big” for me. I had a very demure personality in those days and favored the likes of Laura Ashley No. 1 and Nina Ricci’s original Nina. From the start of my perfume love affair I have loved aldehydic florals with a mossy sandalwood drydown. I find that a lot of classics were reformulated with a heavier dose of vanilla at the base to compensate for the reduced sandalwood and oakmoss. Consequently, I end up with a preference for the vintage versions of fragrances like First and No 5. Victoria: How true! I was smelling No 5 at the Osmotheque, which is formulated as close to the original as possible, and I was amazed how much vanilla I could smell and yet how smoothly it wrapped around the rich moss, sandalwood and animalic notes (all natural, alas!) So, I know what you mean. In the end, I’ve approached the current version as new perfumes, and some of them I ended up loving too and others not so much. OperaFan: Liza was still very much admired at that time, and a strong and dynamic personality as well. It was that association that piqued my curiosity to try 1000. Victoria: For me, it’s there, but it’s a flash before something else takes over. But I recall from your other comments that you’re very sensitive to violet, so I’m not surprise you’re reacting so strongly. Cornelia Blimber: I am a lonely Joy-lover, so it seems!